Suzanne Lie, Ph.D., has been a seeker since she was a child where her active “imagination” took her deep into her inner life. She continues to regularly share her experiences and Arcturian teachings on her blog, Awakening with Suzanne Lie, and she wishes to help awakening ones come out of hiding and allow the glory of their highest expression of SELF into their everyday life. Dear Ones, We the Arcturians, are sending you Unconditional Love and Violet Fire for the year of 2019. We also send Unconditional Love and Violet Fire into ALL the moments of the NOW that will continue throughout your entire incarnation on Gaia. We, the Arcturians, wish to remind you that a powerful “New Years Resolution” would be to focus on welcoming the many higher dimensional versions of your own Multidimensional SELF into your daily, third/fourth dimensional consciousness. As you allow the energy fields of 2019 to expand your process of ascension, myriad aspects of your Multidimensional SELF will come into your awareness to remind YOU that we, the Arcturians, as well as other members of your Galactic Family, are ready to merge with you during the myriad events of your daily life! Then we, the members of your Higher SELF, as well as your many lives on countless timelines, worlds, galaxies, and dimensions, will begin to connect like pearls on a necklace. It is through this “linking with your Higher SELF, that you will realize that your Multidimensional SELF is the pearls and YOU are the string. When your physical world becomes too challenging, only one expression of the many versions of your Multidimensional SELF may seem too much. However, it is only “too much” when your consciousness is limited to your third dimensional earth vessel. On the other hand, as you progressively live in surrender to YOUR Higher self and allow the Oneness of the NOW to be revealed to your heart and mind, more and more aspects of your true, Multidimensional SELF will come online in your daily life. By accepting the knowledge and wisdom of higher and higher dimensional expressions of your SELF, you will remember more and more about living in surrender. YOU are the primary character. This character that you are ‘playing’ while wearing your 3D earth vessel, has learned, and remembered, myriad important things during your many incarnations on Gaia. One important thing that many of you are remembering, and thus incorporating into your consciousness, is an increasing sense of your own wisdom, your own power and your own unconditional Love! We, your Arcturian family, wish to remind you to increasingly connect with the ever-expanding reality of your Multidimensional SELF. Your Multidimensional SELF is the collective of your higher dimensional expressions of SELF. Your Higher Dimensional SELF, who is within the you that you once thought of as your ‘individual life,’ will increasingly come forward in your daily life. Each of your “seemingly” individual lives, are rich and challenging in their (your) own unique way. Then, as you increasingly and consciously connect with more expressions of your Multidimensional SELF, you will also regain your conscious connection to the myriad worlds, planets, galaxies and dimensions to which these versions of your SELF resonate. Whenever you accept another aspect of your Multidimensional SELF into your conscious awareness, that SELF brings its entire stream of lives, realities and expressions on many planets, star systems, galaxies, and dimensions. If that is not enough, you will also share parallel and alternate realities, as well as intermingle with possible and/or probable realities, that may or may not have occurred if you had not chosen to allow your consciousness to “wander through” and “intermingle with” with all these lives are occurring simultaneously within the NOW of the ONE. Each of your apparently singular expressions of SELF have myriad expressions of SELF that live in countless realities with infinite potential. ALL of these expressions of your immense Multidimensional SELF are connected with each other. In fact, they are merged with each other. “When two aspects of a person and/or reality are connected, they become attached, but when they are merged they overlap. Within the area of that overlap, the two seemingly separate persons, places or things are ONE. All these myriad realities, and potential realities, exist within your Multidimensional SELF in different dimensions, as well as in differing stages of formation. However, only third/fourth dimensional realities are bound by time and separation. Fifth-dimensional experiences are free of the encumbrance of time. Each third/fourth dimensional reality is interacting in a ‘time-dance’ of potential, beginning, occurring, ending and concluding. In fact, the Galactic Visitors to Earth wearing human forms have perceived that more and more 3D human forms are beginning expand their perceptual fields to be able to note that the third/fourth dimensional energy patterns are beginning to transmute into fifth dimensional energy fields. It is important that humanity understand the difference between third/fourth dimensional energy fields and fifth dimensional energy fields. As humanity’s perceptual field begins to expand into the fourth and fifth dimensions of reality, their entire “perspective on life” will change. For one thing, life is not just being “dead” or “alive.” Also, life is no longer based on “getting what you want,” or “trying to change.” In fact, third dimensional life is no longer based on just third dimensional perceptions. Not only are humanity’s fourth and fifth dimensional dreams, meditations and creative “ideas” becoming more and more important, but so is the frequency of the dreams, ideas, and meditations that are being explored. More and more members of humanity are beginning to advance into perceiving more and more of what is occurring within the ONE of the fifth dimension and beyond. · Does your third dimensional self perceive reality as being physical and bound by sequential time? · Does yourfourth dimensional self perceive reality as being of the fourth dimensional Astral Plane in which time shifts from past, present or future, but is sequential within each timeline? 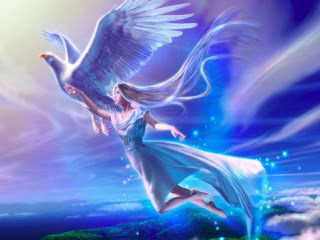 · Can your fifth dimensional SELFperceive the higher dimensional reality which is filled with Lightbodies interacting within the HERE and the NOW of the ONE. · Can your sixth dimensional SELFperceive the NOW of each reality from the perspective of the core light-matrix of every being and location. · Is your eighth dimensional and beyond SELFno longer bound by form and exists as pure consciousness in different stages of returning to Source. 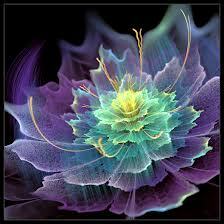 Are all realities perceived as fields of energy, which you influence with your force of unconditional love. Meanwhile, your third-dimensional expressions are having a difficult time experiencing only one reality at a time. How can your physical self connect with and understand these myriad phases of countless realities? This understanding has to do with how you store information in your brain, which works much like one of your computers. Do you remember how your early computers were limited to a small amount of information? You would have to print out the information or store it on physical disks so that your computer would not become overloaded. All of these copies and/or disks were third dimensional and each of them was separate. Each disk of information had to be stored in a physical place and categorized so that you could find it when you wanted to access that information. If you forgot where you had stored that information, it was very difficult to retrieve it. Sometimes you would have to go through each disk and/or printed copy in order to find what you needed. The “Cloud” is huge, beyond your imagination and all the information stored there intermingles with the other information. You can easily find your own information by typing its title on your computer or other computerized devices. The Cloud maintains everyone’s anonymity, meets everyone's needs and is automatically up-graded. Your Multidimensional Mind operates much like the Cloud. Just as many individuals gathered together to create the Cloud manner of storage, the many individuals within your Multidimensional SELF are working together to gather all the information about all the expressions of your infinite, multidimensional SELF in your version of the Cloud, which is your Multidimensional Mind. Can you now consider your Multidimensional Mind as a ‘CLOUD of the NOW’ where All information is stored in a non-manifested manner. When you access the Cloud of your Multidimensional Mind you access all of your own personal and collective information from all your realities. Everyone shares this Cloud/Multidimensional Mind, as it resonates to the fifth dimension, which is beyond time and/or separation. We are not advertising a new technology. We are reminding you that technology reflects how many humans are remembering that there is a place where everything is always stored. This place is your own Multidimensional Mind. As your personal consciousness expands to encompass your multidimensional consciousness, your third/fourth dimensional brain expands to encompass your Multidimensional Mind. Your Multidimensional Mind lives within Unity Consciousness with all the myriad expressions of your SELF, as well as with all life. When you remember to access your Multidimensional Mind, you can gain answers to everything that you have ever experienced in any reality and any version of your Multidimensional SELF. Thoughts and emotions interact in a constant dance of creation and manifestation. When you remember that all your thoughts and emotions are expressions of your state of consciousness, it will become increasingly easier to calibrate your listening to the frequency of your SELF with whom you are communicating. When you remember how to listen to ALL frequencies of your SELF, you will remember how to listen to ALL the frequencies of the life around you. For example, if you can listen to your own fifth dimensional SELF, you will be able to communicate with the fifth-dimensional elementals. When you listen with your fourth-dimensional emotions, you will be more able to hear the aura of the plants and animals around you. When you can consciously ‘listen to all life,’ you move into the ‘unity with all life’ of your innate fifth-dimensional consciousness. It is not an easy task for a ‘modern’ human to allow a hummingbird to tell you why it chose that flower, or to listen to the flower that the humming bird has chosen. You may find that it is easier to begin communication with all life via the fifth-dimensional unity consciousness of your Multidimensional Mind. You can begin by paying attention to your fourth-dimensional meditations and dreams that are trying to assist you to remember how to commune with all life. Whatever your state of consciousness, please remember that the greatest leaders are the servants to all that they lead. As you travel around your area, see not how each area is different. Instead, realize how each area of Gaia’s beautiful body is united within the ONE of Her Being. Just as your hands, feet, voice, hearing, seeing, digestion, breathing, thinking, feeling etc. appear to be separate, but are all a component of YOU, all the different areas of Earth that you will visit, commune with, bless and transmute are components of Gaia’s Oneness. Gaia is teaching humanity how to live within the ONE, but humanity must listen to the “language of Gaia” if they wish to understand Her messages. Listen to your Mother Planet! It is the NOW to remember your innate ability to enjoy inter-dimensional communications. You, our grounded representatives to Earth, have waited and tried to remember your inter-dimensional communications, but too often, there was something in your way. Life after life, the many different bodies of your Multidimensional SELF tried to remember how to communicate with the higher frequencies of reality. Unfortunately, once you were a member of the third/fourth dimensions of reality, the memories of your innate fifth dimensional SELF was just beyond your reach. Many of you, our volunteers to take a third dimensional Earth body, tried to remember how to connect with your higher dimensional friends, family, and even your own higher dimensional SELF. However, the connections and the brief messages that you received flew swiftly through your third dimensional consciousness. It was only when you documented the message as soon as you received it that you could take your “3D time” to try to translate a timeless, inter-dimensional message into a time-bound third-dimensional message that you could save, and even, share with others. Many of you have learned from your many incarnations that it was not wise to share what you were receiving inter-dimensionally. You also learned in your incarnations before your present NOW that it could be dangerous to talk about what you knew was a message from the higher worlds. Most of you did not know what a “dimension” was, so that term was not used. Instead, you used terms that people could accept, such as “activating your innate creativity.” However, some people still could not believe that there was a dimension of reality that was beyond their physical world. If there was a higher world, it was known as Heaven, in which only Angles and “very good” people could go when they “died.” Of course, many civilizations believed that they could only have one life and one death. Then, they went to Heaven if they were good and to Hell if they were bad. Once, only the great philosophers and Saints thought about these issues. The “common humans” had to focus much of their attention on survival, or obeying what they had heard or read from different persons what they “should” believe in. Humans that were “different” from the “then popular” belief system were pushed aside, ignored or, worse, tormented and killed. In the earlier days of humanity, lifespans were often short, and many people lived on the edge of survival. We, your Galactic Family, are shocked that that type of discrimination still exists in some places on dear Gaia. In fact, there can be no planetary ascension while some humans judge or harm other humans. Also, as long as humans used cruelty to “dominate” planet Earth, they were NOT allowing Gaia to offer them a place to learn about being a planetary protector of Earth, who will eventually return to their true, fifth dimensional SELF. On the other hand, there are also many humans who live a life of “service to others” and dedicate their lives to assisting other humans, animals and/or the Gaia’s entire planet. Because the Pleiadians are the most “human looking” of our Galactic Family, they are often the ones who have volunteered to take a human body Earth. In this manner we, your Galactic Family, could “walk among humanity” to better determine how we could assist humanity to awaken, and then, assist other humans to awaken enough to remember their true Multidimensional SELF. What we, the Galactics, have found again and again is that humanity has a LONG way to go before they are ready to transmute back into their innate Higher Dimensional SELF. In fact, we Galactics are concerned that so many of our brave volunteers to take a human body on Earth have had to suffer some of the great dangers of third dimensional Earth. On the other hand, there are humans who are able to incarnate in “safe places” or “peak societies” where they can be their true SELF without frightening the other humans. Humans know not to frighten a bear or a lion, as it may attack. However, members of humanity also attack when they are frightened. We, your Galactic Family, wish to commend and thank the many awakened and awakening ones, who are ready to work with us to assist planet Earth through Her process of ascension. The humans who assist with Gaia’s ascension will ascend with Her and/or they have already ascended and chose to take another incarnation in order to assist with Gaia’s Planetary Ascension. Fortunately, more and more members of humanity are remembering their higher dimensional Homeworld, as well as the reason why they took their current Earth body. They are also remembering how to communicate with their own higher dimensional SELVES, as well as with their higher dimensional family. Somehow, these awakened, and awakening ones, knew that the frequency of reality that they saw in their minds, and felt within their hearts and expanding consciousness, joined them during their dreams, and/or shared with their higher dimensional experiences via “channeling” writings, pictures, songs and their own personal stories. It was through this sharing that these awakened, and awakening ones, could more easily and clearly remember their own inter-dimensional experiences. Different people remembered different things, but most of them didremember what they vowed they would remember before they took their present third dimensional earth vessel. It is when the human self can remember their inter-dimensional communications with their Higher SELF, that they can serve as “Messengers from the Higher Worlds.” The “Messenger SELF” is the “YOU” who is communicating with your own higher dimensional expressions of SELF. Then, when you share this vital information with the hearts and minds of other awakened and awakening ones, your Interdimensional message will grow louder and stronger. Most important, as these Interdimensional message became louder and stronger, they move deeper and deeper into the heart of Gaia. It is through one’s higher states of consciousness that they can receive, and ground into their human consciousness, as well as Gaia’s planetary consciousness, the fact that people and planet are “The Ascending Ones” with whom they have been having more and more inter-dimensional communications. These “Ascending Ones,” likely includes you. The Ascending Ones may appear to be angry, or upset about something, and may, or may not, know what they are angry about. This behavior is very common when a planet is preparing to change the Operating System of that planet to the next frequency of reality. Usually, there are “The First Ones” who have volunteered to “do the research” on how a third dimensional planet can expand into a fourth and/or third/fourth dimensional planet. A third/fourth dimensional planet that has volunteered to assist the beings of their reality to expand their third dimensional consciousness into the fourth dimension is rare, but it doesinclude dear Gaia’s planetary being. YES, planets are beings. In fact, planets are much like greater and more expanded versions of human beings. Fortunately, more and more grounded ones are choosing to consciously activate more neural synapses in their brain in order to incorporate the ever expanding inter-dimensional information that is flowing more and more into their daily awareness. Fortunately, as their consciousness expands beyond the third dimensional consciousness of “survival,” or “power over others” their brain can more easily expand its ability to “activate” more complicated synaptic junctions within their neural network. Gradually, the awakened ones will remember more and more that “Reality is a Perception.” Therefore, everyone is experiencing a different, yet often the same, perception from the higher realms, as well as within their physical life. How can something appear to be different, yet also the same?” The answer is that reality is a perspective of the one who is perceiving each moment of each experience. You all practiced this “different but the same” behavior on the Ship before you took your present earth vessel. We want to tell you all, dear volunteers to Gaia, that what seemed easy in the unconditional loving, and completely safe environment of our Ships, often seems VERY difficult and challenging in your third dimensional, physical reality. It is for this reason that we have chosen to communicate with as many of you, our grounded ones, as possible. Then, each of you can share your experiences of leaving the fifth dimension to assist with the ascension of the third dimensional, very polluted and totally abused planet, known to humans as Earth. In fact, it is Earth/Gaia, Her self who is calling for our higher dimensional assistance on a regular basis. Gaia is very concerned that the “dark humans” will damage Her planetary body so much that she will not be able to ascend. We, the Galactics, have assured Gaia that many of the changes, which often appear as disasters, are allowing the darkness to come to the surface so that it can be healed by the light.Unfortunately, some of the major leaders of Gaia are doing much more harm than has ever been done by any human leaders before. The reason for this is because the Dark Ones are losing. Therefore, they are pulling out all their worst tricks and tactics to keep the humans frightened, under educated, able to purchase rifles that can kill many people within just a few minutes, and leaders who care only for them selves and not for those whom they are supposedly leading. Dear brave humans, please remember that “The Darkest Night is just before dawn.” We, your Galactic Family, wish that we could tell you exactly how long it will take for this Darkest Night to end. Assist Gaia with Her Planetary Ascension! One of the great parts of the third dimension is individuality. When there is individuality, many people can respond to the same thing in a different way. However, if an “individual” is NOT connected to their higher sources of information, they may become so frustrated and depressed from the “fight to save Earth,” that they just give up! We, your Galactic Family are here with you NOW to remind you to REMEMBER WHO YOU ARE! We also wish to remind you that the Third Dimensional Reality is a perception that is often seen as different through different humans, and even different through the same human at different times. Be patient, dear volunteers to assist with Gaia’s ascension. We know that many of you are VERY tired as you have walked this path for many years. We thank you so for your endurance and invite you to visit us, as well as you own fifth dimensional expression of SELF, during your dreams and meditations. We lovingly request that you share your higher dimensional experiences with others who you think may be able to accept this frequency of information. We advise that you look above that persons Crown Chakra to see, hear, or feel if they have opened the Portal to the Fifth Dimension via their Crown Chakra. Some of these people may be totally aware of this opening, but many others are not aware—yet—why they are having so many strange, or different, dreams, meditations and experiences. Therefore, fear NOT the dark night and continue to bravely step into the “New Dawn of the fifth dimensional Gaia!” In closing, we remind you that YOU are assisting Planet Earth with Her Planetary Ascension, while Gaia is assisting you with your Personal Ascension. can embrace this NOW of great transmutation into the next octave of reality. speaking for your entire Galactic Family. We have messages for each and every ONE of you. Please listen and you will hear! Blessings from the Arcturians and your Galactic Family. We await your victorious return to your true Galactic SELF! Dr. Suzanne Lie is eager to assist with your personal expansion journey and is available to provide personal readings and messages from the Arcturians. DONATIONS GO TOWARDS MORE EXPANSION! Join us in our upcoming events! Hot off the Press! Preparing for First Contact. Get YOUR copy today and also share one with a friend to help spread the word. ©Dr. Suzanne Lie, All rights reserved. Simple theme. Powered by Blogger.